Join School Counselor Blog and SCOPE for #sctweetchat on Tuesday, November 1st @ 8pmEST! Jen Grossman, president elect of the Missouri School Counselor Association will be our host this month! She will lead the discussion about collaboration! Participants will share their successes with faculty, administration, parents, and community. Check out transcripts from our previous School Counselor Tweet Chats or look up all tweets with the #sctweetchat hash tag! 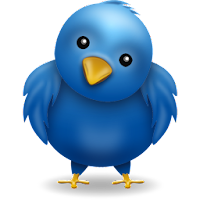 School Counselor Tweet Chat is hosted monthly, usually on the first Tuesday of the month. Today was Wear Red Day! Our theme was "Celebrate Red Ribbon Week! Not just for a day - but for life!" There was a sea of red today! There was a lot of student, faculty, and staff participation! I continued to hang drug free pledge sheets with the help of student council members. They did a great job using the pledges to form large red ribbons in the school lobby. Student council members were also responsible for judging the doors for the college door decorating contest today. I took pictures of all of the doors and the students came up with criteria to judge the doors. We watched a slide show of all of the doors first and then went back through to vote. It was tough because everyone did such a great job with their door decorations. Tomorrow is going to be an action-packed day. Tomorrow is our Dream Career Day for our theme "Follow Your Dreams - Don't Do Drugs!" 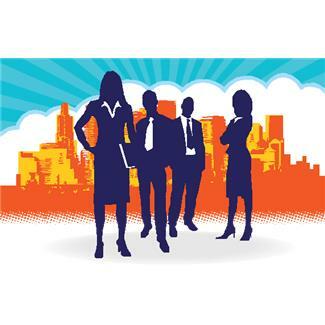 Students are encouraged to dress up as their dream career. Last year we had a great level of faculty and student participation. I can't wait to see everyone dressed up tomorrow! I will be dressing up like a veterinarian tomorrow! Many of my students are interested in learning more about veterinarians. I was so excited when I got the idea to dress up like a vet while I was at Ikea! ;) I can't wait to share a picture with you tomorrow! Our first Career Cafe of the year is also tomorrow! I have a detective coming in to share his career journey with students. This year Career Cafe will be hosted in the library. Students are so excited for the first one. There are many students interested in careers in law enforcement. Last but not least, we are having a School Wide Positive Behavior Intervention and Support (SWPBIS) kick off rally tomorrow! I will share more about that later! See, I told you it was going to be action-packed tomorrow! I can't wait to share with you how it all goes! Today was Dress for Success Day! Many students and staff dressed their best - ready for success! Everyone looked sharp and carried themselves with pride! I also started hanging up drug free pledge sheets in the lobby today with lots of help of student council members. All students in our K-8 school were asked to sign a pledge sheet about how they will be drug free for their future. Here is a PDF copy of the pledge sheet. The pledge sheet states "I want a future as bright as can be! I'm making it my goal to be drug free1 I pledge to be drug free for my future by..." and gives space for students to write how they will be drug free for their future. Student council members are also reading a drug free pledge during the announcements this week. One of the other school counselors in our district shared this pledge with us! If I believe in me. For kids like me to grow. And be all I can be. I pledge to stay drug free. Tomorrow we are celebrating Wear Red Day! 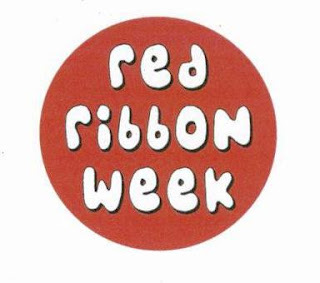 Our theme is "Celebrate Red Ribbon Week! Not just for a day - but for life!" Students are encouraged to wear red and pledge to be drug free for their future. Today was the first day of the Red Ribbon Week festivities at my school. Today's theme was "Show School Spirit - Drug Free!" I wore black and yellow to show school pride. I was excited to wear my customized polo that I created using VistaPrint. The other school counselor I work with and I got them at the beginning of the school year. It says my school and School Counselor under it. I had a fun idea for the door to the student services suite. On my way to my parent's house this weekend I was trying to think of door ideas. I got the idea to tape a graduation gown and cap to the door. I then thought it would up the fun factor to cut out a hole in the paper where the window is so a student could put their head in front of the window so it would look like they were a graduate. We decided to make the door a Shippensburg University theme since the school social worker, the other school counselor, and I all graduated from Shippensburg University! To make the door, we covered it with red roll paper. We then taped a graduation gown and my graduation cap from Shippensburg to the door. We printed out some words from a campaign Shippensburg is currently running that features SHIP at the end of the word, like LEADERSHIP. We used construction paper to make the hands and the diploma. We even glued the fingers around the diploma. I am so happy with the way it turned out! I made some minor changes to the Shippensburg door. I thought it would be funny if I put a "Your Face Here" sign behind the face opening. I also made a Penn State themed door for my office! I covered the door with green roll paper. I used silver ribbon to hang pennants I created using out using my cricut. 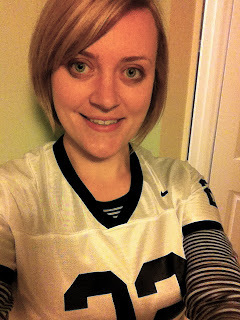 I also taped a pom-pom, Penn State pennants, a nittany lion, and a Penn State towel to my door. Red Ribbon week starts Monday! How are you celebrating Red Ribbon Week? I wrote a post of how I celebrated Red Ribbon Week last year. 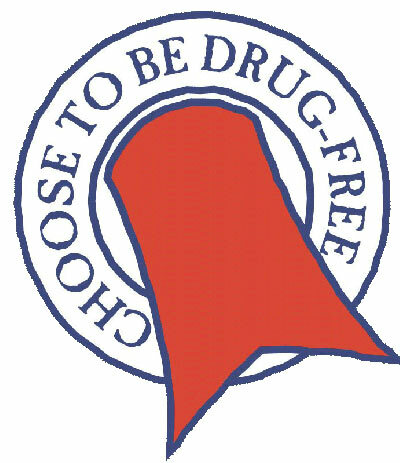 I am celebrating Red Ribbon Week this year using the same career theme from last year: Believe, Achieve, Succeed - Drug Free! I plan to write a post each day this week showcasing the theme to give you some ideas for this year or next year. I encourage you to comment on each day's post and share how you are celebrating that day! Also, share your Red Ribbon Week theme pictures with other school counselors by uploading them to the School Counselor Blog Facebook Page or Google+. This year, in addition to the theme days I posted about before, we are also hosting a college door decorating contest for the whole school. I am working on my Penn State themed door today (Sunday)! I had a clever idea for the door leading into the Social Services Suite. Check out my posts later this week for pictures and details! One of the perks of living in Pittsburgh was having an Ikea close by! I would go to Ikea all the time and find lots of cool things for my school counseling office. On Monday, I presented at the Montgomery County Counseling Association (MCCA) on "Essentials of Becoming a Tech Savvy School Counselor" in King of Prussia, PA. I took a personal day so I would have plenty of time to get there and would not be caught up in something at school. Before I left I looked to see if there was a Ikea anywhere near King of Prussia. Sure enough there was one in Consohohocken, PA! I was so excited to make an Ikea stop! One of the things I went to Ikea in search of was this DUKTIG Toolbelt. When I found it in the store it was much smaller than I expected (I think it is for a toddler) but I still purchased it anyway. I figured I could still use the tools in a Home Depot belt that I had at school. I was also thinking about adding more velcro to it to make it longer... but not sure. Then I saw this adorable GOSIG Vet Bag! So many of my students expressed interest in being a veterinarian. I thought this would be a great addition to the career items in my office. Here is a picture of the GOSIG Vet Bag in action with the GOSIG VALP Stuffed Dog. He looks so sad in his cone! My new Ikea finds have only been in my office since Wednesday, but they are already getting lots of use. Students LOVE the vet bag and the dog! He has had all of the band aids, cast, and cone on him at once! (poor thing...) ;) I love that these items can start a dialogue about careers! While at Ikea I got the idea to dress up as a veterinarian for our school Dream Career Day on October 24th. I am going to borrow a white lab coat from my brother and bring along the vet bag and the dog! Dream Career Day is part of our career-themed Red Ribbon Week. I purchased this KUSINER Wall Pocket to hang on my wall at school. There are so many things you could store in this 6-pocket wall storage. I plan to store career dress up items in it. There are lots of colorful and fun children's items at Ikea. I probably could have spent hours in there and purchased many more things, but my focus was career items while I was there. What school counseling finds have you found at Ikea? 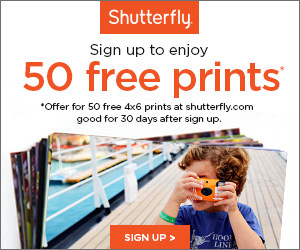 What are your favorite things to purchase there? Comment below, tweet, contact Danielle, or share on the School Counselor Blog Facebook Page! Rachel Simmons was interviewed on Anderson Cooper 360 about bullying. This clip talks about solutions to bullying. Rachel Simmons advocates for school counselors as being a solution and what students want! What do you think about this clip? Comment below, tweet, contact Danielle, or share on the School Counselor Blog Facebook Page! One of my greatest successes thus far as a School Counselor has been creating engaging career programing for students. Check out this video I submitted to Scholastic's Teacher Wall where I talk about the Career Café program I started in my school. 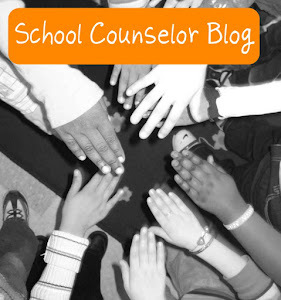 What has been one of your biggest successes as a school counselor? Comment below, tweet, contact Danielle, or share on the School Counselor Blog Facebook Page! The third School Counselor Tweet Chat was held on October 11, 2011 at 8pmEST! We chatted about leadership and advocacy! Julia V. Taylor moderated the tweet chat. We had great conversations about what school counselors can do to advocate for their position and show how they are leaders in the school. Read the full transcript via google documents. To access all of the tweets with the hashtag #sctweetchat, click here. *Note the hashtag for School Counselor Tweet Chat is now #scchat. The next School Counselor Tweet Chat is on November 1, 2011 at 8pmEST! Jenn Grossman will be our host! Did you participate in the School Counselor Tweet Chat? What did you think about it? What new ideas did you learn? 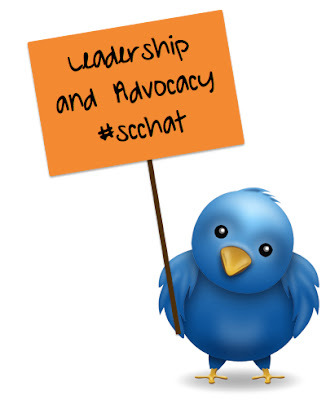 Comment below or share via twitter #sctweetchat! I got the idea for this school counselor bulletin board from a School Counselor Blog Facebook Page fan, Sarah. I loved Sarah's "Whoo Can Help You With..." school counselor bulletin board that she posted to the School Counselor Blog Facebook Page. I decided to use my Cricut Expression paper cutter to make my own version of the bulletin board for the 4th, 5th, and 6th grade hallway at school. I got my Cricut Expression paper cutter for Christmas last year. I used it a lot over the summer to make bulletin boards. I am just getting around to posting pictures of some of the ones I made. You can also check out the "College and Career Ready!" bulletin board I made using my Cricut Expressiont. I covered the bulletin board with light blue roll paper. I then drew a tree free-hand on brown roll paper. I cut it out with scissors and stapled it to the background. I cut out the letters for "Who Can Help You With..." on black cardstock using my Cricut Expression paper cutting machine and the Plantin Schoolbook Cricut Cartridge. I used a piece of red cardstock to cut out the word "You." I stapled the letters to the bulletin board background. I cut out the owl on two different shades of blue textured cardstock using my Cricut Expression paper cutting machine and the Creat A Critter Cricut Cartridge. 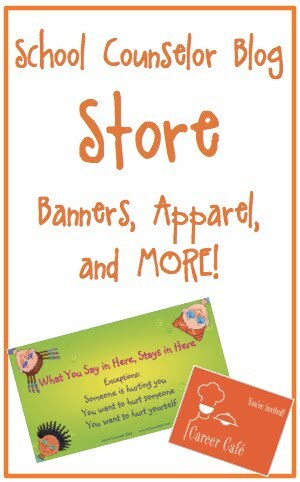 You could also buy a die cut owl, print out a clip art picture of an owl, or draw an owl. I cut out the leaves on green, red, and yellow cardstock using my Cricut Expression paper cutting machine and the Cricut Cartridge, Plantin School Book. I also cut the grass out using green cardstock. I printed out the words in DJ Light font on Avery Clear Sticker Paper, If I did this bulletin board in the future I would probably just write the words on the leaves with a sharpie because it is kind of hard to read. I cut the words out with scissors and affixed them to the leaves. I then stapled the grass to the background and the leaves onto the tree. I printed out a picture of the other school counselor I work with, and myself to put on the bulletin board. On white computer paper, using the DJ Light font I printed "Mrs. Schultz, School Counselor, Grades 5-8, and my room number." I cut the descriptions and picture to size using my paper cutter. I then affixed the picture to black cardstock and our names and information on yellow cardstock. I used the paper cutter to leave a border around each one. 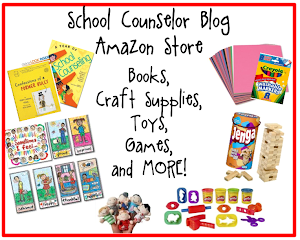 Will you be making a school counselor bulletin board like this one for your school? Do you have a school counseling themed bulletin board idea you would like to share with others? Comment below, tweet, contact Danielle, or share on the School Counselor Blog Facebook Page! Self-pillows are pillows that represent your personality. My school counselor colleague, Natasha, had the great idea of creating self-pillows as an activity during our groups for children who have a loved one in prison. Self-pillows would also be great as an activity for grief and loss groups or self-esteem groups! The most important and first step of making a self-pillow is finding fabric! Choose a variety of patterns of fabric that you think your students would like. You can even ask students what some of their favorite things are so you have some fabrics that go along with their interests. Also, consider the topic of the group. We chose fabrics that related to feelings associated with our group. Children experiencing the incarceration of a loved one, can feel like they do not want anyone to be around them and keep people out of their life. We found some fabric that has gates and dogs that says "Beware" and "Keep Out." A number of students chose to add this to their pillow. Another example of a feeling associated with the group is feeling confused. The road sign pattern pictured in the pillow at the top is related to this feeling. You will need 9 - 5" squares and 1 - 14" square for each student. We allowed students to pick any combination of the fabric. Some students chose to pick 9 different squares for the one side and a solid color for the other side. Others chose their "favorite" pattern for the large, 14" square and 9 different patterns on the other side back. Arrange the fabric how students want it to be sewn. I had students lay it they way they wanted it to be sewn and then I numbered each square with pencil on the back. This made it much easier for me to sew it together later! To sew the pillows, you will need to sew all of the 9 - 5" squares together. Sew the first row of squares together by placing the fronts of two fabric squares together and sewing down one side. Then sew the remaining piece to the other two squares. Repeat this process until you have done this with all three rows. Place row 1 patterned side down on row 2 and sew them together at the edge. Then place row 3 patterned side down on row 2 and sew them together at the edge. Place the completed patch side pattern side down on the 14" square. Sew the patch piece to the 14" piece making sure to leave an opening at the bottom. I made my opening the middle bottom square making sure to sew over the seams of the two adjoining squares. Turn the pillow pattern side out. You may need to use an eraser end of a pencil to make sure all of the corners are pushed out. Once the pillow is stuffed to the desired fluffiness, sew the pillow closed using a needle and thread. Students sewed their own pillows closed, which made them have ownership and feel more connected to the making of their pillow. Students love their self-pillows! I have had a number of students previously in my groups talk to me about their self-pillows this year. One student told me that she tells all her secrets to her self-pillow. Many students told me they sleep with it at night. Here are a few finished self-pillows from my group last year. How will you use self-pillows in your work as a school counselor? Have you ever done a cool sewing or craft project with students? Comment below, tweet, contact Danielle, or share on the School Counselor Blog Facebook Page!